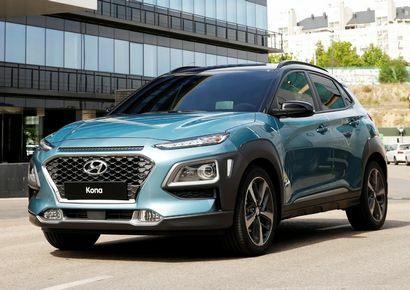 Korean manufacturer Hyundai has announced model-by-model changes to its 2018 lineup of vehicles. 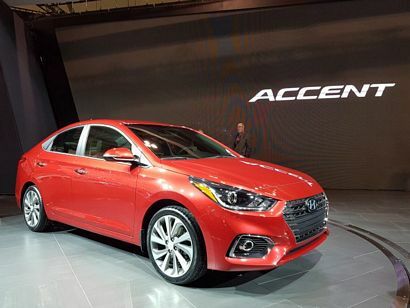 The 2018 Accent is all-new with a new cascading grille design that brings it in line with the rest of Hyundai's sedan offerings. It's 0.6 inches longer and 1.14 inches wider than the outgoing model, with a redesigned dashboard and an optional 7-inch touchscreen with both Apple CarPlay and Android Auto capability. A rear view camera is now standard (it was unavailable on the previous Accent); while an autonomous emergency braking system will be offered on at least one trim level. Additional options will include a hands-free trunk release, heated front seats, keyless ignition, dual automatic climate control, projector headlights, LED taillights and fog lights, 17-inch alloy wheels, and a power sunroof. 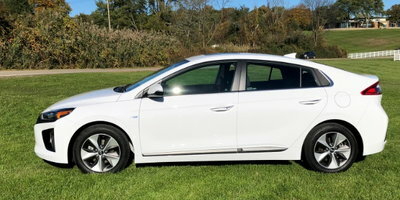 The 2018 Elantra is a carry-over model. The 2017 SE trim with the Popular Packaged has been replaced by a new SEL trim level. Enhancements to the SEL trim include a 3.5-inch TFT display, blind spot detection with rear cross-traffic alert and lane-change assist, and rear disc brakes. An auto-dimming rearview mirror is now standard on Limited models, while the Limited Tech Package has been dropped and combined with new standard equipment levels and the Limited's Ultimate package. 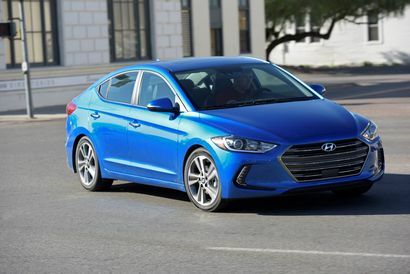 The 2018 Elantra GT is all-new. Lower, wider and with more aggressive-looking styling, it's lighter (the body-in-white weighs 61 pounds less) and stiffer (22 percent more rigid) than the outgoing model. It's also larger inside, with 96.5 cubic feet of passenger space and almost 25 cubic feet of cargo volume. Outside, there's an even larger cascading hexagonal grill. Base models get standard 17-inch alloys, while the upscale Sport comes with 18-inch alloys. In back, LED tail lights are standard. Inside, a restyled dashboard comes with a standard 8-inch touchscreen, while the infotainment system features satellite radio, HD radio, Apple CarPlay and Android Auto. 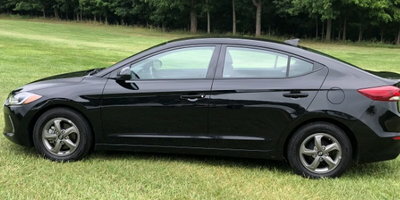 The base model features a carry-over 2.0-liter four cylinder, while the new Sport trim comes with a 1.6-liter turbocharged four cylinder that generates 201 horsepower and 195 lb-ft of torque. Both engines will be offered with a 6-speed manual transmission. The optional transmission on the base model will be a 6-speed automatic, while the Sport trim gets a 6-speed dual clutch transmission. Optional safety features include blind spot detection with rear cross-traffic alert, automatic emergency braking, lane keep assist, adaptive cruise control with start/stop capability, automatic high beam assist, and driver attention alert. There will be no 2018 Hyundai Veloster. The 2017 model year will be extended, while a new model will be introduced for the 2019 model year. 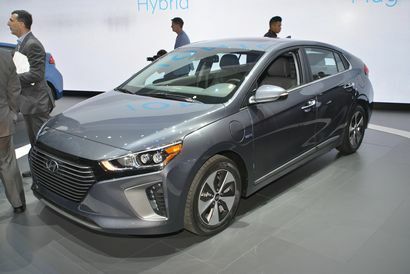 The 2018 Hyundai Ioniq Electric and Hybrid are carry-over models, while a new plug-in hybrid trim will be introduced in 2018. 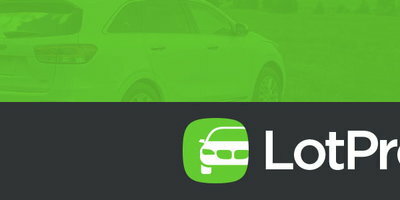 Models equipped with lane departure warning will now also feature lane keep assist. 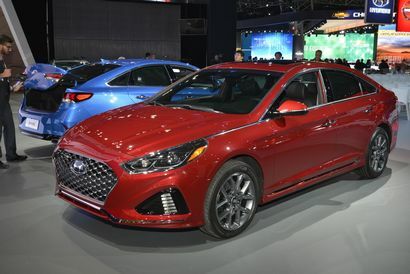 The 2018 Sonata features a major refresh that begins up front with a more aggressive cascading grille, redesigned headlight cluster (will full LED headlights), and wider LED taillights. The interior features a new steering wheel and center stack design as well as silver trim that graces the buttons as well as the touchscreen surround trim. Under the hood, a new eight-speed transmission replaces the six-speed unit on 2.0-liter turbo models. On the safety front, blind spot detection with rear cross-traffic alert is now standard across the lineup, while lane keep assist has been added to the lane departure warning feature that optional on SEL and Limited models and standard on the Limited 2.0T trim. 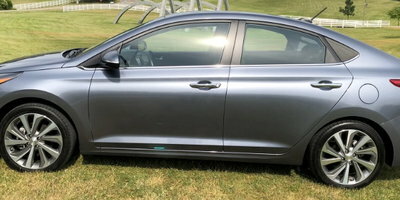 Both the 2018 Sonata Hybrid and Plug-In Hybrid are still under development. The 2018 Azera has been discontinued in the US market. 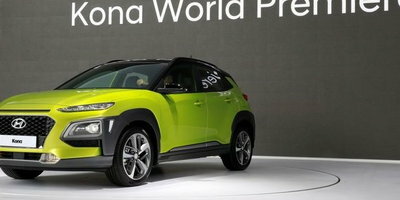 The 2018 Kona is an all-new crossover model that will join the Hyundai lineup in 2018.